High consumer demand for organic products and foods with natural ingredients is reflected in the wide range of offerings from Health ingredients Europe & Natural ingredients this year. Under the claim “Natural & Organic”, more than 100 exhibitors will present their new developments – from superfoods and natural flavours and extracts to plant-based finished products. From 27 to 29 November in Frankfurt, trade visitors will be given a comprehensive overview of these categories across 4,000 sqm, and will benefit from a wide range of further educational and networking opportunities. Nowadays, consumers expect much more from functional foods than a few years ago: Besides a health benefit, a natural origin or even organic cultivation, sustainability and ethical qualities are also much in demand. With a wide range of exhibitors offering such ingredients – including Agrana, KSM66-Ashwaganda and Plantex – and an extensive educational programme, Hi Europe & Ni is a valuable source of inspiration for trade visitors from the health and nutrition industry. According to a survey conducted by Mintel last year, around 70 per cent of people interviewed prefer foods with natural ingredients. Manufacturers have recognised this request by offering a constantly growing variety of new and innovative products. 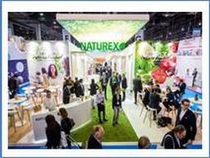 Compared to Hi Europe & Ni 2016, the number of exhibitors within the “Natural Ingredients Pavilion” has consequently doubled this year. Numerous expert lectures will provide insights to challenges and solutions relating to natural alternatives: Leonhard Thunn-Hohenstein, Key Account Manager at AstaReal, for example, speaks in the Supplier Solutions Theatre’s free-to-attend programme about natural astaxanthin from algae to improve eye health. During the two-day Hi Conference, Grégory Dubourg, CEO of Nutrikéo, will explore some of the naturally functional ingredients that are hitting the spotlight like turmeric, ashwagandha and spirulina in his session: “Developing products with naturally functional ingredients”. At the Plant-based Experience visitors will be able to inform themselves about current trends and experience the growing variety of plant-based products in association with ProVeg International, who will also be organising a Plant-based Innovation Tour featuring exhibitors with new plant-based solutions. In addition, exhibitors with natural solutions will be part of the Innovation Tour on Clean label, trust and transparency by Nutrimarketing. Tickets for the Hi Conference are available at https://www.figlobal.com/hieurope/de/conferences.